Marine Teak Decking Miami: What Is Marine Teak Wood? 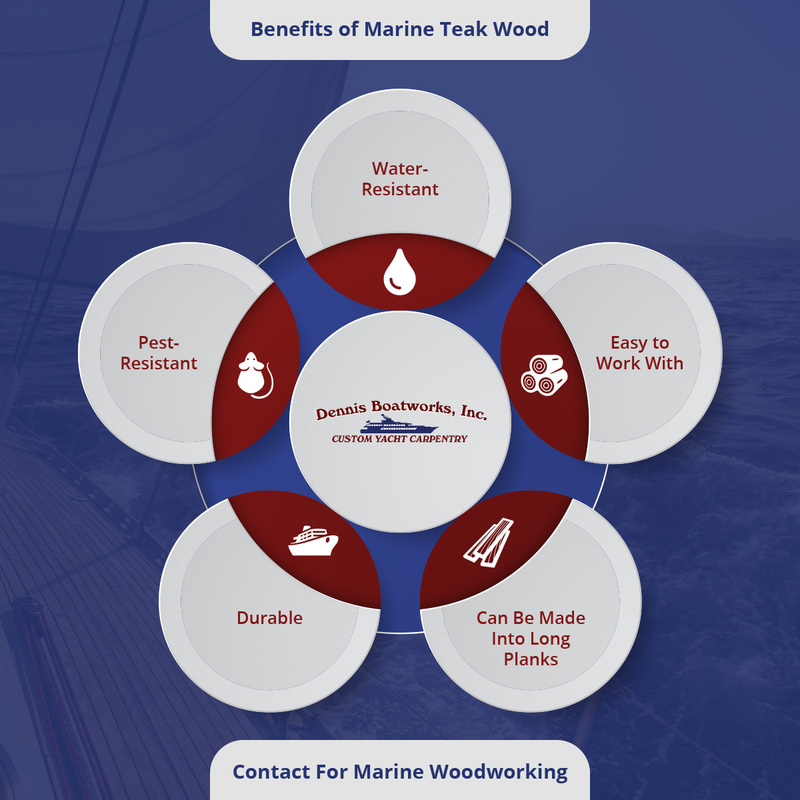 What Is Marine Teak Wood? 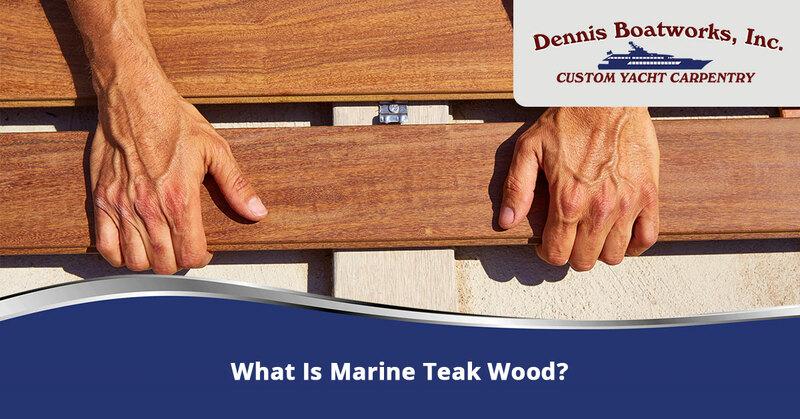 What is Marine Teak Wood and Why Is It Used? Marine teak wood is a desirable material to craft elegant decks of boats and yachts from all over the world. If you have a boat, teak decking is highly recommended for its sleek design, bright color, durability, and water-resistance. But, why is this wood so desirable for marine vessels? 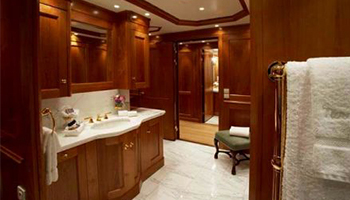 In this blog, we will be discussing marine teak wood and why it is used for boat flooring. If you would like to re-do your boat’s flooring and would like a custom carpentry services to help you, click here. If you have owned or seen a boat, you will recognize the finely cut wood on the deck. But, if you have ever seen wood when it gets wet, it will typically warp and break. So, why is it that boats are made from wood? Well, the answer to this is simple: wood is easy to work with. Wood can be cut and sanded to be any shape. Best of all, it fastened correctly, wood can become air-tight. Lastly, though wood and water don’t work well together, with finishes the wood can be protected from salt water. So, now that we know about wood and marine carpentry in general, let’s explore why teak wood is the optimal material used in carpentry services. Teak wood comes from a tropical hardwood species called Tectora Grandia. This type of tree grows over 130 feet tall and specifically grows in Southeast Asia, India, Indonesia, Malaysia, Thailand, and Burma. Due to the fact that this tree grows in very humid and moist areas, the tree is naturally very resistant to water. Because of this, it is typically used for marine vessels. In order to receive the best wood from these trees, they need to be cut down when they are between 40 to 80 years old. When they are aged, their wood is at its strongest and most durable. You will typically be able to identify teak wood by the pattern of its grain and the golden colors it displays. The older teak wood becomes, the darker the wood will be. So, if you have dark brown wood, this is typically a good sign that your teak wood is well aged and strong. What makes teak wood very desirable is that it is a very strong wood species, durable, water-resistant, and termite-resistant. However, those can be obvious benefits, there are other reasons why this wood is preferred for marine decking and carpentry works. Naturally, teak wood has a high oil content in its grain. Because of this, the oil protects the wood from moisture. In order to be used for carpentry products, however, the wood has to be fully dried for one to two years. Yet, aside from these benefits, there are other benefits to teak wood as well. Water-Resistant: When looking at marine flooring options, you always want to choose a hardwood that can withstand heavy wear and tear, as well as feature some sort of water-resistant capabilities. Because marine vessels obviously see a lot of water, it is important that you opt for hardwood and wood finish that withstand not only water, but salt water. Easy to Work With: Teak is one of the most popular hardwoods to use for interior design, marine flooring, and custom woodworking because it is so malleable. It can be easily cut and reacts well to other items. For instance, some woods react poorly to acidic or even metallic items. But, teak wood actually works well with these items and does not have any chemical reactions. Can Be Made Into Planks: As stated, teak wood comes from one of the tallest tree species on the planet. Because of this, the wood can be cut to display long planks. This look is very desirable for boats, especially because it looks very organized and sleek. The planks of teak wood are also airtight is organized to be close enough together. It is advantageous for marine vessels specifically because it can prevent leaks. Durable: Teak wood is extremely durable and can withstand heavy traffic. Because it is such a hard hardwood option, many people like to choose it for marine vessels and their home flooring. The only drawback to teak wood is the fact that it is expensive. Teak wood can be quite expensive for most homeowners, so they will opt for a flooring option that can imitate teak, such as oak or maple wood. 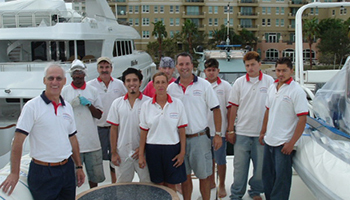 Pest-Resistant: Marine vessels can have pest problems, such as termites, rats, or even cockroaches. These pest infestations can cause major issues for boat decks made out of wood. 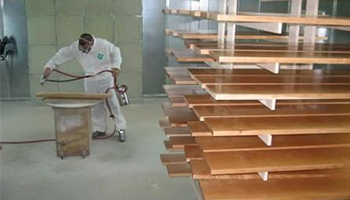 Teak wood differs from most hardwoods because it is pest-resistant. The natural oils in the wood taste bitter to pests, especially termites. Because termites feast on other types of wood, teak is the best choice if you foresee pest issues in your future. If you can’t already tell, teak is a pretty incredible wood flooring option. It is durable, water-resistant, decay-resistant and pest-resistant — that is pretty hard to beat! The only real drawback to marine teak decking is that it can be expensive. Teak wood is an exotic wood that has to be prepared for years before it can be used. Secondly, it also has to be finished with a saltwater-resistant finish in order to be used for marine vessels. However, aside from the overall expense of this option, it is very useful for marine vessels as a flooring option. If you are interested in fixing, building, or replacing your yacht’s flooring, we can help. 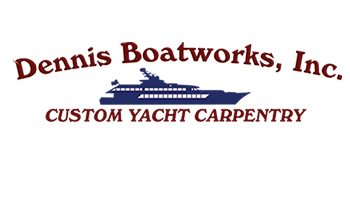 With our trained and experienced staff, Dennis Boatworks can build you a beautiful marine deck with luxury teak wood. Contact us today if this wood option for your marine decking suites you. And, if you would like a different style of yacht flooring, we can address that as well. Call today.